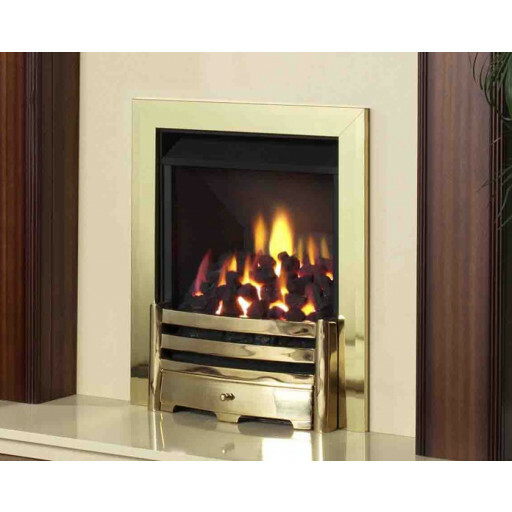 The Legend Virage Traditional style trim set helps you to reinvigorate the appearance of your existing Legend Virage gas fire. The manufacturer offers this product in Black, Brass, Chrome or Brushed Steel trim. Constructed from only the finest materials, this stylish accessory lends an upscale, affluent quality to the appearance of the hearth. Select a style to complement other accent pieces in your room, such as door handles and lighting fixtures, or opt for a unique trim colour based upon personal preferences: either way, this versatile product will enhance the beauty of your existing Legend Virage gas fire. This item carries a five year warranty. With proper care, it should offer many years of satisfaction and enjoyment. It includes the stunning Aviva fret. The fine polish of the metal surface reflects flickering lights in the fire, helping to enhance the appliances visual impact. The Legend Virage traditional trim embellishes the appearance of your existing fireplaces in both residential properties and commercial sites. It offers solid value. Visit The Fireplace Warehouse online or in person to view this fashionable decor accessory soon!